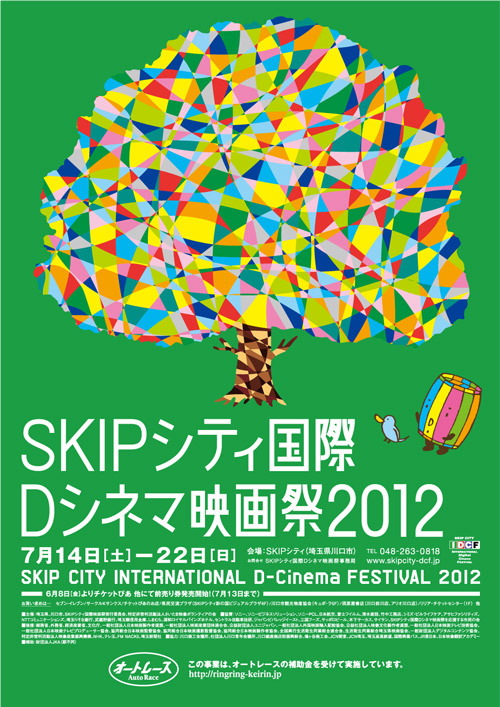 2012 was the 9th year of SKIP CITY INTERNATIONAL D-Cinema FESTIVAL. We have screened many films from talented young filmmakers from around the World and organized lots of film-related events. The opening film was ‘Aokigahara’, which is based on a short story from “Seishi Kokukoku” written by ex-Tokyo Governor Shintaro Ishihara, and is a beautiful story of lasting love between a young couple, set in a mysterious ocean of trees. 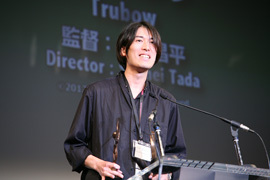 It was Taku Shinjo’s first attempt at shooting a film in digital and it was a World Premiere screening ahead of its theatrical release in 2013. 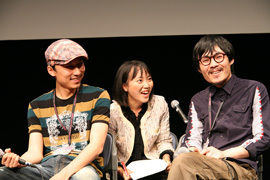 The appearance of the main cast members and director attracted a full-house audience to the theater. The 27 films in the competitions were selected from a total of 730 entries from 84 countries or territories, of which 571 were feature film competition submissions, and 159 were short film competition hopefuls. Many of the selected feature films were focused on “families”, but they exhibited different approaches on the theme and succeeded to capture the theme in their own way. The quality of the short films is getting higher each year, and we selected 15 films with various themes. This was 3 more films than the year before. 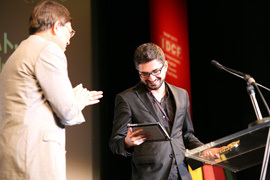 The Grand Prize for the Feature Film Competition went to “Kuma” directed by a talented young director Umut Dag from Austria. The film depicts a young Turkish woman sent to fulfill a new role with a Turkish family living in Vienna. 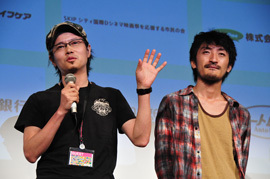 Ryota Nakano’s “Capturing Dad” received both Best Director and the SKIP CITY AWARD. 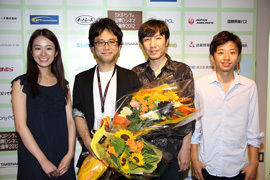 It was the first time Best Director had been won by a Japanese entrant. 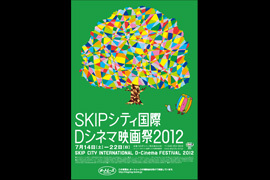 The film will be theatrically released in 2013 as a result of being selected as the 3rd film of “SKIP CITY D-Cinema PROJECT”. 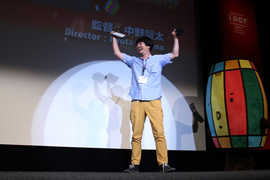 The Grand Prize for the Short Film Competition was awarded to a musical film “Dream Notebook” directed by Hiroaki Kakukawa, who is hoping to create a new wave for musical films in Japan. Other than competition films and the opening film, a screening of Cinema Kabuki, a screening of Livespire of a dynamic opera stage, a screening coinciding with onsite events, a barrier-free screening with Japanese subtitles and audio commentary, and an outdoor screening for kids and families were held. Other film-related events were conducted. 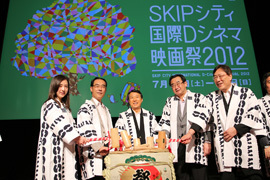 Screenings of two “Kobaton The Movie” shorts and a conference held to announce the selected “D-MAP 2012” title comprised the “Made in SKIP CITY” program. “Jump! 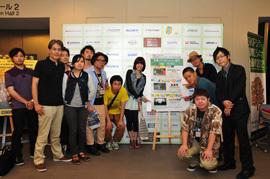 From Saitama to The World”, a symposium for young Japanese filmmakers, was led by the Ocean Pacific consultant of the Venice International Film Festival; and the “Camera Crayon” project was presented for nurturing kids making films. 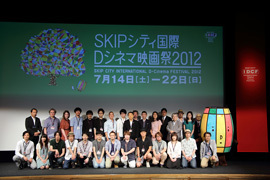 With all these screenings and events, the 2012 Festival wrapped up with great success.